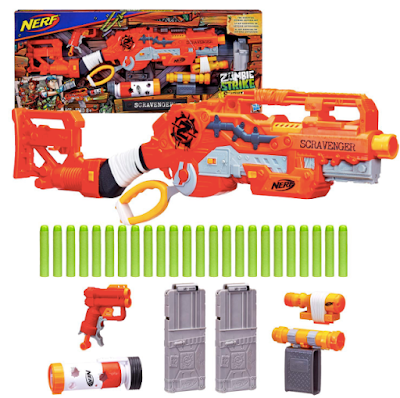 Hop on over to Amazon where you can score this NERF Zombie Strike Survival System Scravenger for only $29.98 Shipped (Retail $49.99). This NERF system is a great gift idea for kids 8 years and older. It includes the blaster, stock with blaster, scope, tactical light, barrel extension, two 12-dart clips, 26 darts and instructions.